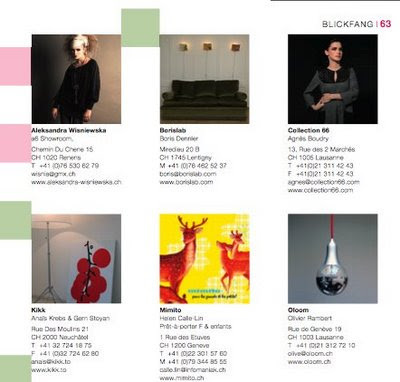 i am not a fan from blickfang, but this year there is one good reason to visit blickfang design fair for furniture, fashion and jewellery, which will take a place on 21, 22, 23 november 2008 at kongresshaus in zürich. and the reason is aleksandra wisniewska with her beautiful clothes and adam&eve jewellery. she will also present her collection on blickfang fashion shows( fri at 8.30 pm, sat at 4 pm and 8 pm, sun at 1 pm and 5pm).